Scion recently showed the iM Concept, which is convincing proof that Toyota still think Scion as a brand is important to their portfolio. Where does Scion fit into the market? What can we look forward to? 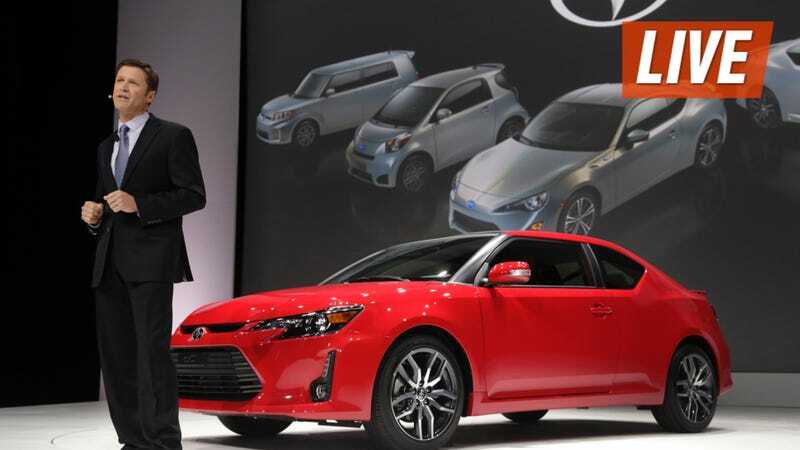 Scion Group Vice President Doug Murtha is here to answer all of your questions in the comments. Introduced in 2002 at the New York Auto Show, Scion was aimed to grab the younger buyer market that it seemed to abandon alongside its popular sports cars of the '90s with the Scion xA and Xb hatchbacks. While the brand was initially successful at bringing in a younger buyer and converting them into repeat buyers, missteps like the larger xB and slow product redevelopment has led to a decline in sales since their peak in 2006. This brings us to today. The Scion FR-S is an exciting vehicle, and the iM shows a reinvestment in a brand that clearly needs it. Is it enough? Do these vehicles cloud their identity or is it exactly what Scion needs to recapture its place? Doug Murtha, the brand's new Vice President, will hopefully be able to address these concerns. Murtha is a long-time Toyota employee, having started in the service and parts operations department and moving up to the development of new concepts and strategies for all of the company's main brands in the United States. We have him for about an hour so fire away.